We have two different overnight hiring options. 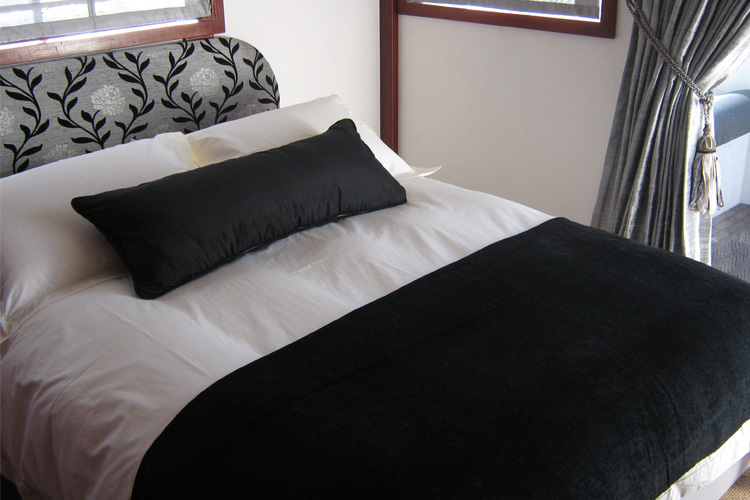 Fully catered option charged at a per person rate (8-10 guests). 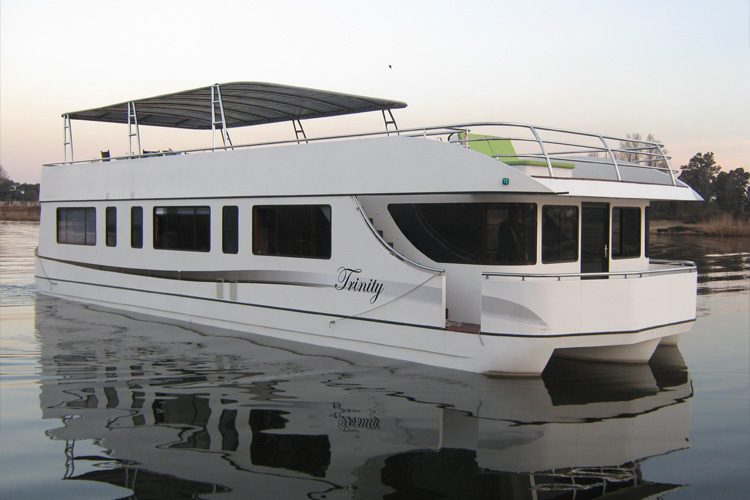 Self-catering option charged at a flat rate for the entire boat. 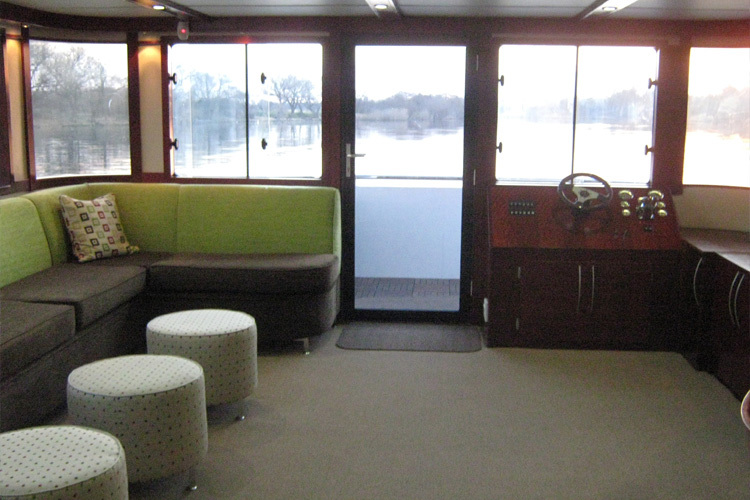 As the facilities on board only have a 10 seated dining table you will need to keep the menu simple. 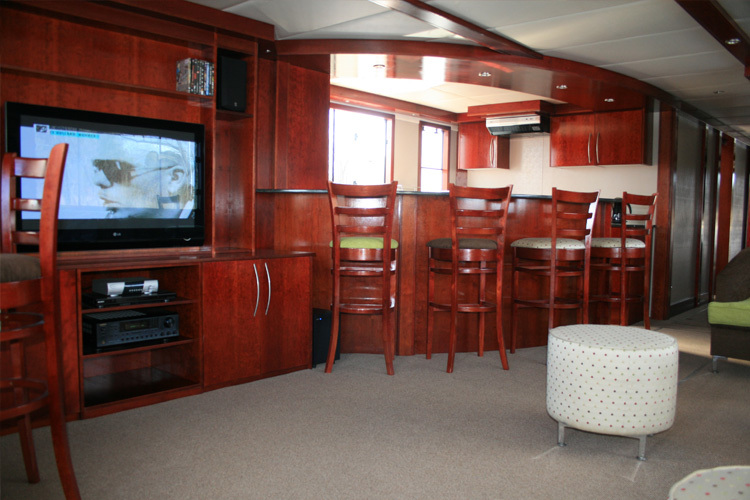 An informal setting with additional lounge area and bar seating will ensure everyone has somewhere to sit. 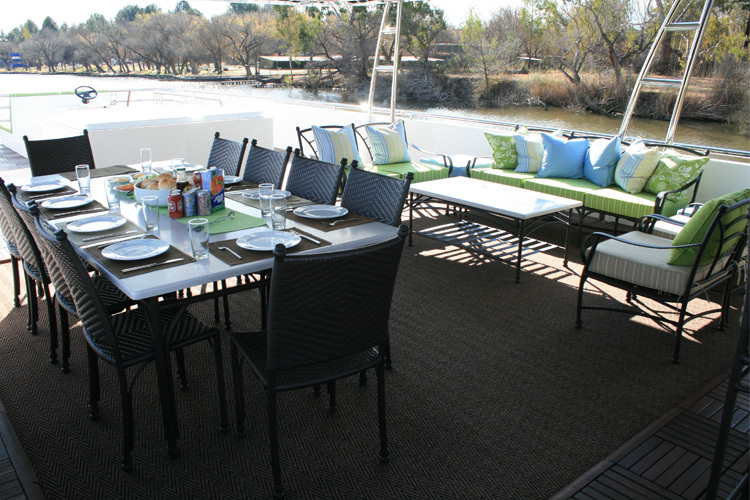 Menu options available are a Braai Menu prepared on board, or savoury platters ready to go when you arrive. 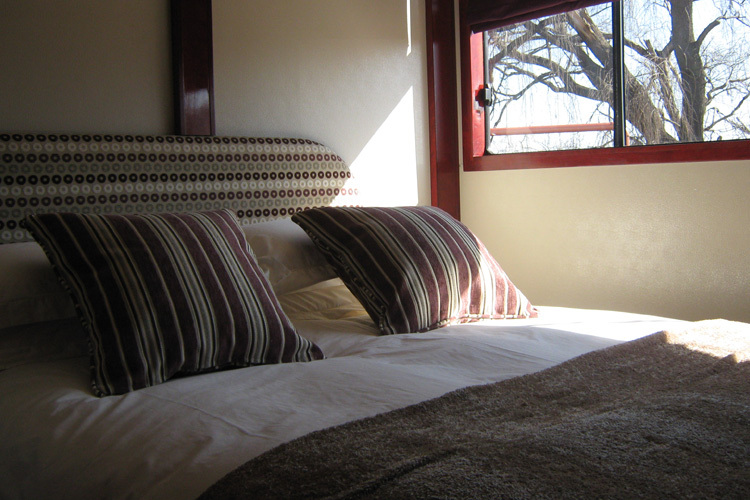 Are you looking for unique and luxurious accommodation in the Vaal for a group of friends or family? 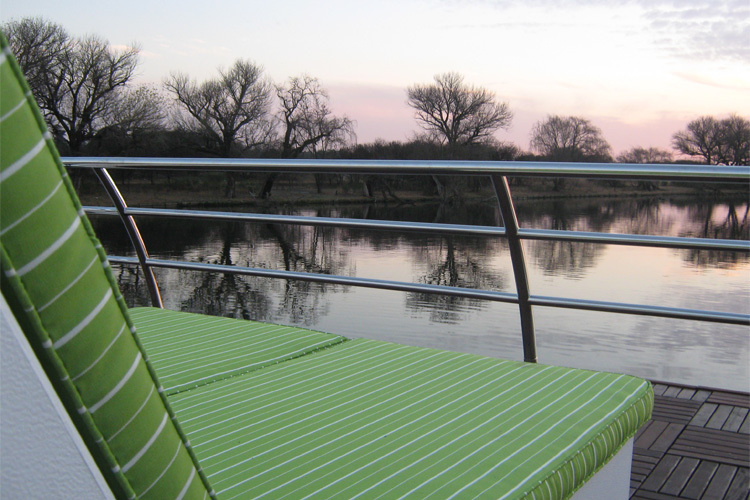 Whether you are in need of accommodation in the Vaal Triangle for a visit to the area, or are looking for Vaal River getaways, Liquid Living has the answer. 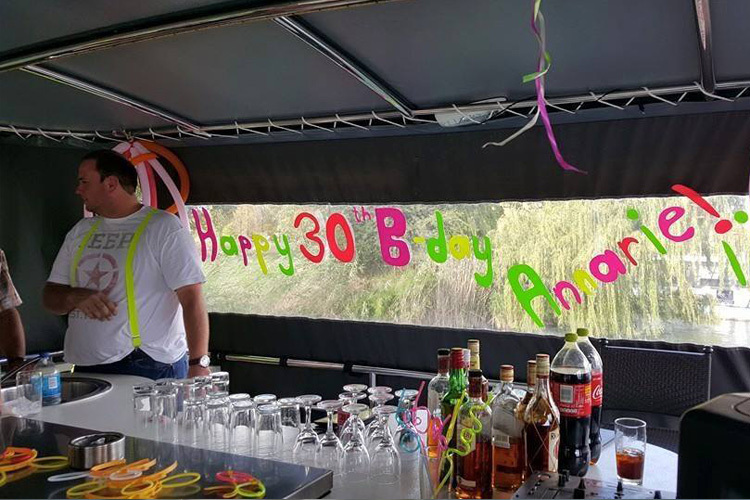 Nothing beats an accommodation establishment (houseboat) that cruises down the majestic Vaal River during your stay. 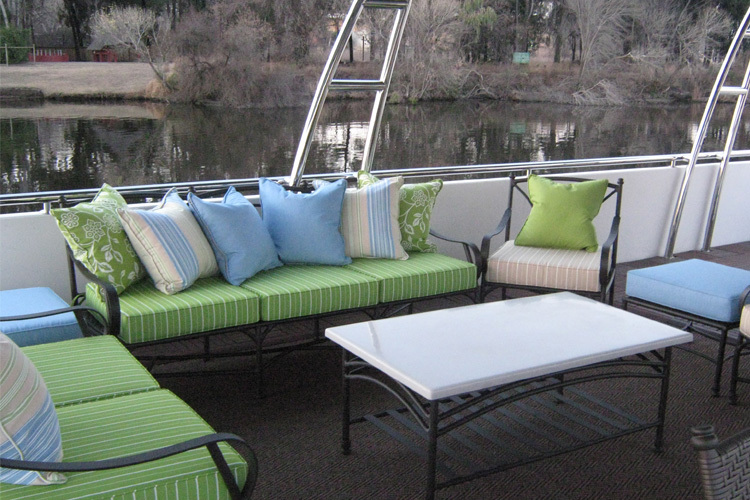 Liquid Living offers comfortable and luxurious houseboat accommodation on the Vaal River that is suitable for up to 10 guests. 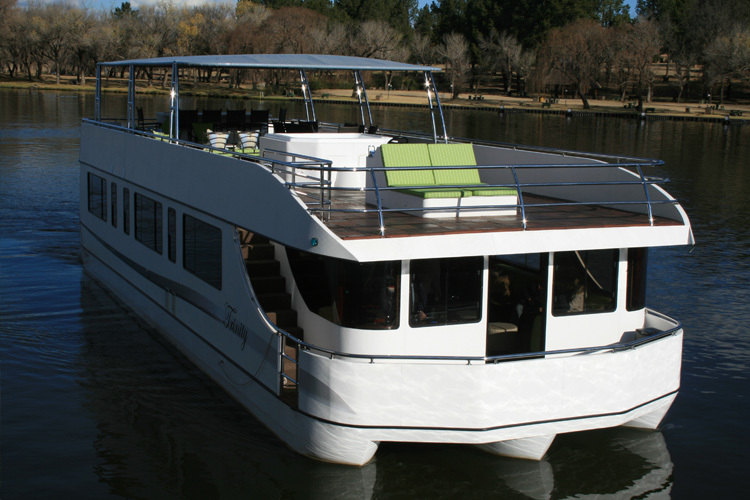 Our houseboat features four luxurious double cabins (en-suite with a shower, basin and toilet), which is ideal for a weekend getaway in the Vaal Triangle, as well as for visitors to the area who are looking for luxurious accommodation options. 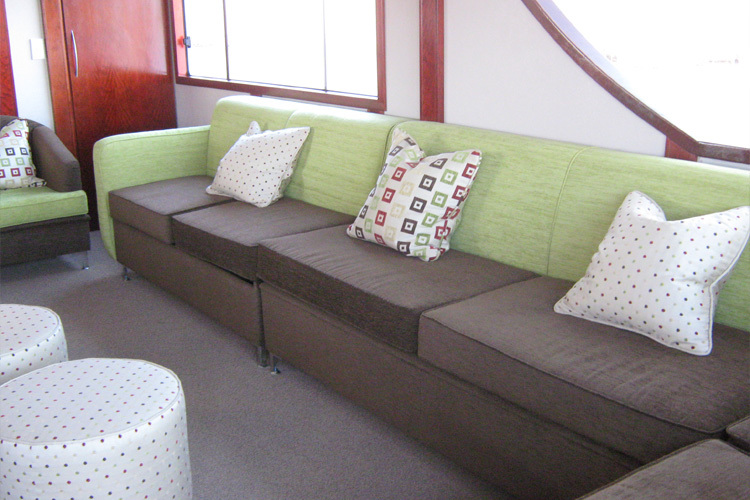 Your accommodation will include a crew comprising of a skipper, chef and cleaner, as per your booking requirements. 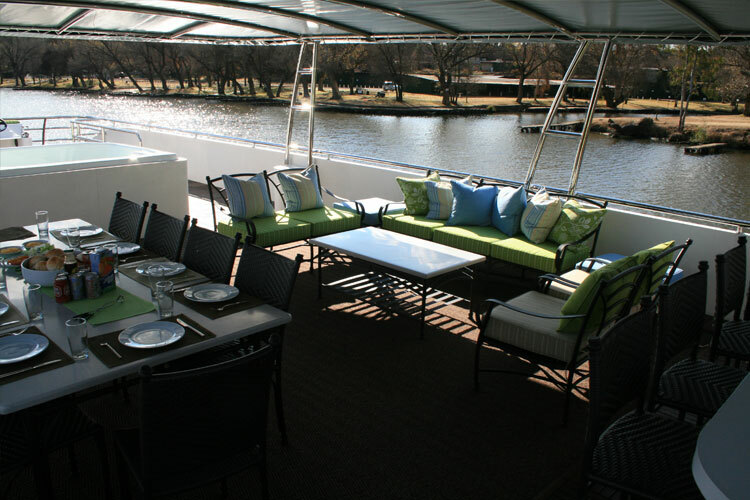 You will enjoy a relaxing break with family or friends aboard this luxurious and spacious houseboat in the Vaal Triangle. 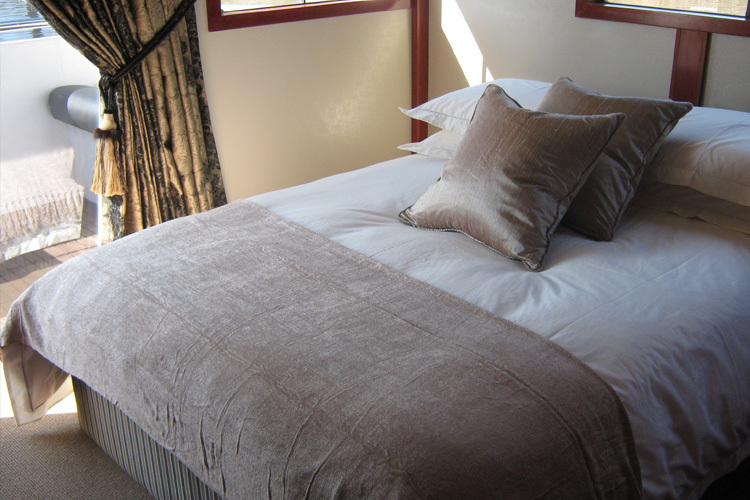 Dining options: You can choose a self-catering accommodation option in to prepare your own meals, or let our qualified chef handle the catering for you. 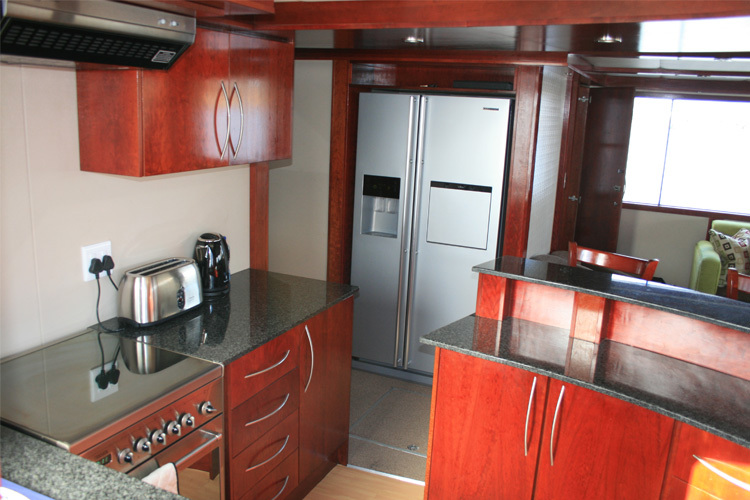 The houseboat includes a fully equipped kitchen and braai facilities for your catering and food preparation needs. 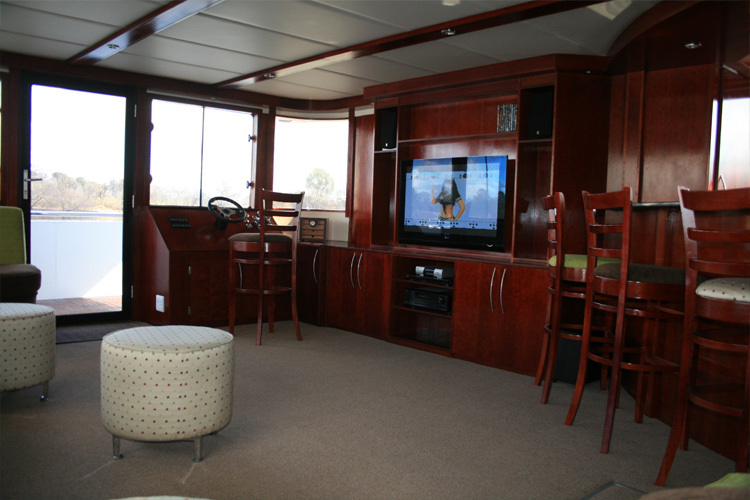 Facilities and amenities: Other amenities of this luxurious houseboat include a lazy-boy lounge suite, large plasma television, DSTV, DVD collection and sound system. 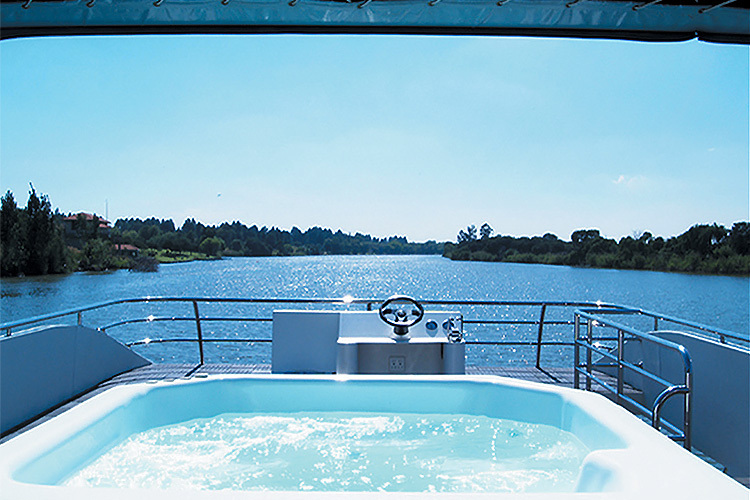 A cold water Jacuzzi is also there for your enjoyment. 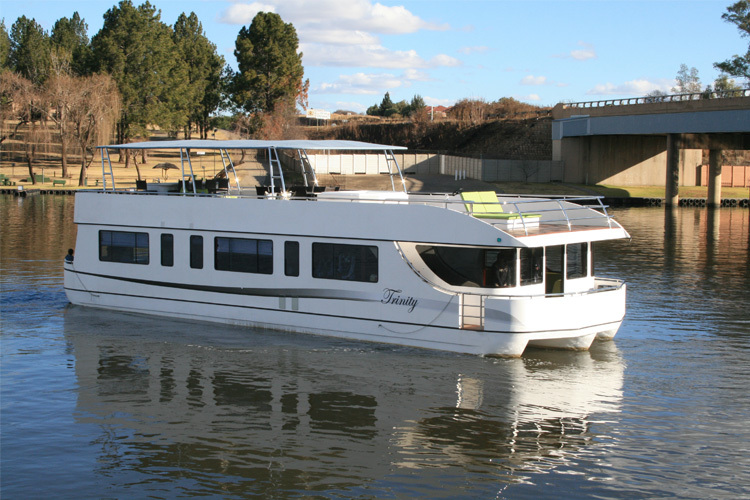 Book your stay aboard the Liquid Living Houseboat today! 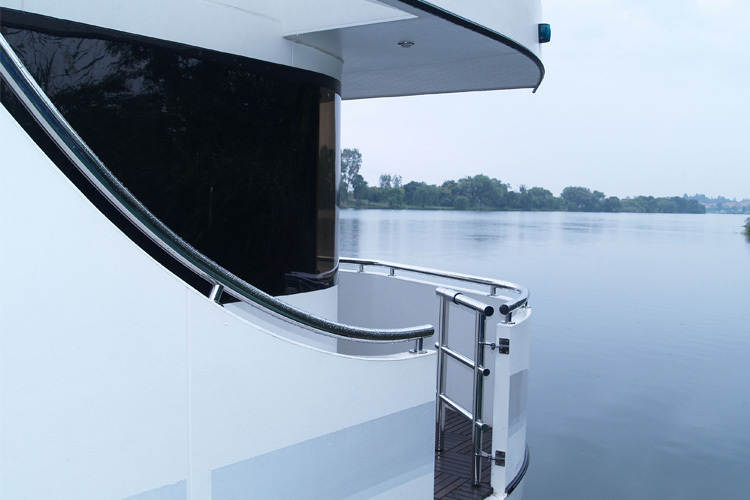 For more information about our houseboat accommodation on the Vaal River, or our available river cruises, contact the team at Liquid Living today. 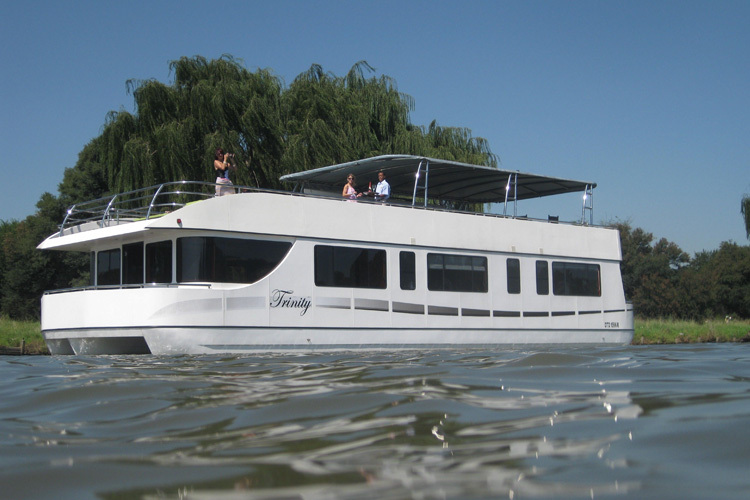 We trust that you will enjoy a memorable stay aboard our beautiful houseboat – book your stay today to experience the most unique accommodation in the Vaal Triangle!